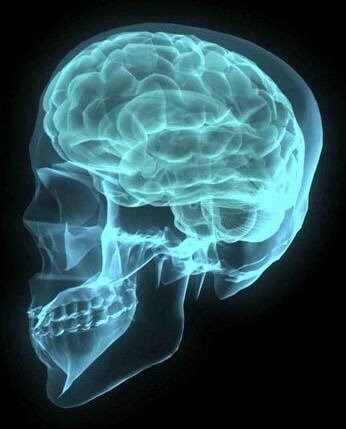 Please note that ‘Clinical Vampirism’, ‘Autovampirism’, and ‘Renfield’s Syndrome’ do NOT appear in the current Diagnostic and Statistical Manual of Mental Disorders (DSM-IV + TR; 1994/2000) and ‘Vampirism’ will NOT be included in the forthcoming Diagnostic and Statistical Manual of Mental Disorders (DSM-V; 2013) as a mental disorder, listed paraphilia, or under ‘Paraphilias Not Elsewhere Classified’. If you personally self-identify as a “real vampi(y)re” please take a moment to answer the following question (divided for both Primary Practicing Sanguinarian (Blood Feeding) and Psychic (Energy Feeding) Self-Identified Vampires). If you identify as sexual, pranic, elemental, hybrid, eclectic, adaptive, living, or other identifiers sometimes ascribed to vampirism please choose the the category which best encompasses your primary feeding method: Sanguinarian (blood consumption, physical fluid-blood exchanges, etc.) or Psychic (psi/chi/qi/life energy feeding or manipulation, metaphysical, spiritual, etc.). Note: Sanguinarian and Psychic responses to the VCN poll indicated no statistically significant differences in condition reporting and thus are combined as Total Self-Identified Vampire Response Count (TVC). 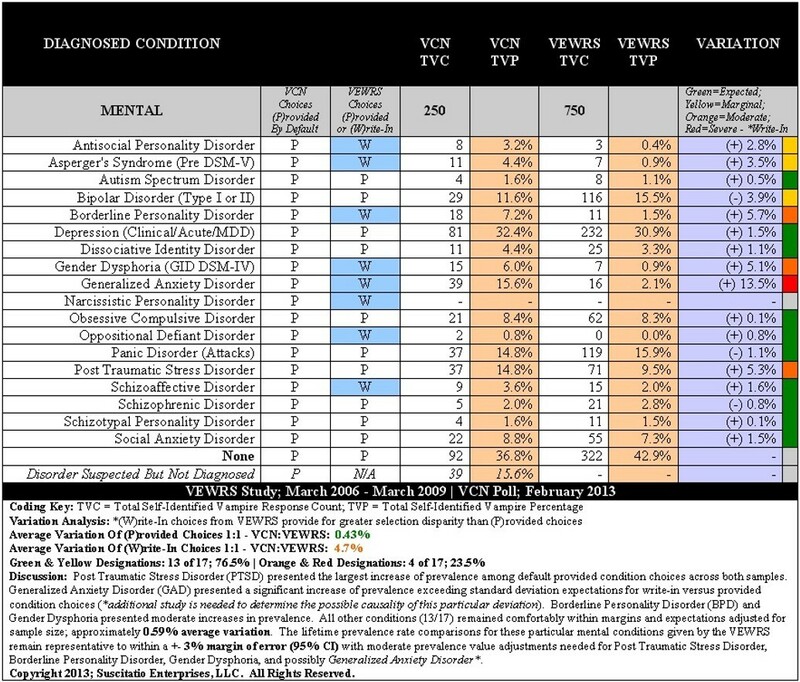 The same observation was made for the majority of responses to Question 037B (Mental Conditions) of the VEWRS; a sample size three times that of the VCN poll. February 10, 2013 – This article may be redistributed, translated, or adopted by other organizations provided there are no content modifications and full citation is included.